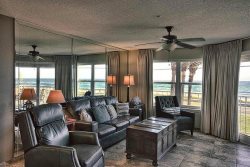 What are the benefits of renting a condo from Coastline Condos? Our vacation homes are designed in such a way that you always feel like you are coming "home" to your "vacation home" rather than returning to a small hotel room. Our condos have full kitchens, with access to hot tubs, swimming pools, and BBQ grills. You will be able to enjoy apartment style living while you are on vacation. You can either make a booking directly on this website by using the "check availability box" on the left side of each website page. Or you can call our office at 423-899-3003 during office hours and a reservationist will be glad to help you book over the phone. We accept Visa, MasterCard, American Express and Discover. They can be credit or debit cards. Can I set up payments for my rental? We require 1/2 of your total rental to reserve the condo. The balance is not due until 30 days before check in. Winter rentals are split into 3 parts, due at reservation, 90 and 60 days before check in. Will you hold my rental without pay? You may call our office number at 423-899-3003 and ask the reservationist to hold a rental for 24 hours. We will hold a condo for 2 business days, if we immediately receive signed documents via email from the guest. We expect a check or money order at our office within 2 business days for the reservation payment. The check or money order must be overnighted to us for rentals taking place during spring and summer. If more than 2 days go by and we do not hear from our guest or receive a check, we will cancel the booking and send an official email to that effect. We offer many condos, most of which allow pets. You can either look at our properties online by clicking on the "vacation rentals" tab above and see if the condo you are looking at allows pets. Or you can call our office at 423-899-3003 and a receptionist would love to help find a vacation condo that is just right for you and your pet. Our pet policy requires your pet be 30 pounds or less. We limit the number of pets to 2. Call us if you have any questions! Absolutely not! We regret to say that Destin is very strict about this rule. It is to protect the beauty of the sand and Gulf and the safety of our beach guests. You might see some dogs on the beach after 5 p.m. or before 9. These dogs live in Destin and have a special permit to walk on the beach. A fine for taking your dog on the beach is $300. Please don't do it. All our condos have a washer/dryer in the unit or on the premises, to make your vacation more convenient. Linens are furnished with all our condo rentals at no charge. The beds are made and towels/washcloths are set up in the bathrooms for you. You can use the washer/dryer in the unit or on the premises to wash clothes and linens during your stay. Please bring laundry detergent if you plan to wash.
Should I bring beach towels? Yes, bring your own beach towels, or you may purchase beach towels at any one of several beach shops nearby. For your comfort and convenience you can wash and dry wet towels in the condo. Parking is free at all our vacation condos, cottages and townhomes. How much is rental on chairs and umbrellas on the beach? Most of our condos offer a free beach setup during the season (Mar 9- Oct 31) -- 2 beach chairs and an umbrella set up on the beach for you every day of your stay. You may rent chairs/umbrellas from the beach attendant. You can bring your own beach chairs and umbrellas if you like. Tents and canopies are not allowed on Maravilla beach. They are allowed at Majestic Sun in certain locations on the beach. Ask the attendant where you can set up at Majestic Sun. How far is the beach from my condo? All our condos are within a few yards to a 2 block walk to the ocean. Where do I check in when I arrive in Destin? We offer self check in -- so you go directly to the condo, which eliminates the need to locate an office to pick up keys. All our doors have an electronic lock. Where do I get a key? All our doors have electronic locks. The entrance door code will be sent to you via email no later than 3 days before you check in. Our condos are all within walking distance of one or more beach restaurants. A large number of chain restaurants are within 3 miles. These include Chili’s, Cracker Barrel, Outback Steakhouse, Abuelos, PF Chang, and a number of others. With your door code information, we will email a document with directions to nearby restaurants and shopping. I will need dialysis during my stay – where can I get that? Yes, Sacred Heart hospital provides this service. You can Google the location in Destin or SanDestin. Both hospitals are very close to our properties. Where can I get a crib or highchair for my toddler? CribConnection in Destin can deliver and set these up for you. Information will be in the check in packet emailed to you 7 days before arrival. High temps range from 61 degrees in January to 89 degrees in June/July/August. Low temps range from 42 degrees in January to 74 degrees in June/July/August. Water Temp, from 64 in January to 85 in August. Why is the sand so white on the Florida Panhandle (so different from Florida's East Coast)? The sand here along the North Florida Coast is among the whitest, cleanest and softest in the world! What you might not know, is that when you walk on the beaches here, you are actually walking on the Appalachian Mountains. The sand here is comprised mainly of 99% pure silica quartz washed down from the mountains by the Apalachicola River. The quartz is ground to a perfect oval in each grain of sand. It is so fine in texture, it literally "squeaks" under your toes as you walk on it! Normally, such quartz has a rosy pink tint because of it's oxide coating, but the sugary-white quartz lost it's coating somewhere along it's watery journey thousands of years ago. Visitors rave about it, and people call it the "sugar-white beaches" of Northwest Florida. The sand accumulated creating sand bars along the river bends and streams on its long journey all the way down south to the edges of the emerald waters of the Gulf of Mexico. The white sand also helps our beaches from heating up like an oven in the Summer time, unlike other beaches with darker and coarser sand.